Child-friendly? At this point, it’s fair to say that most children are familiar with the Harry Potter films and books, given that this is the sixth movie in the franchise. It’s important to note that this is the second to last film in the series so parents may want to prepare their younger children for the end in the coming years. 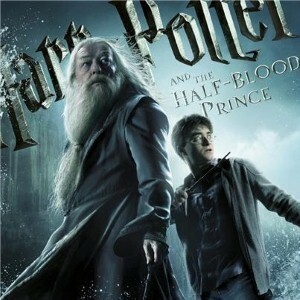 The Half-Blood Prince follows the same style as the previous movies, but with darker scenes and themes. Despite the PG rating, this film may be appropriate for older children ages 10 and up. The public’s time with Harry Potter films are coming close to the end. With the release of Harry Potter and the Half-Blood Prince, fans will only have one more film left in the series, which may make this installment more bitter than sweet for some audiences. Parents can expect to see familiar characters return to the screen, but should know that one of the major characters in the series will die in this film. Those who have read the book know who it is, but for children who are only familiar with the films, it may come as an emotional shock. As Harry begins his sixth year at Hogwarts, it’s revealed that Lord Voldemort has enlisted Draco, a fellow student and adversary to Harry, to do a specific task. It’s also revealed by Albus Dumbledore that there may be a way to vanquish Voldemort forever if items known as Horcruxes are destroyed. The scenes involved with the search for these Horcruxes can get quite dark and reach a scary point with a showdown between familiar foes. While it will be exciting for most children and young teenagers to see Harry Potter on the screen again, fathers should brace themselves for the emotional effect the film will likely create.